Rarely available. Most exotic paradise ever seen by world traveler! Black sand beach, Ocean cliff, waterfalls, fruit trees. Waipio Valley is a particular destination for for travelers seeking dramatic natural scenery on Hawaii island. Head down your back yard in Waipio Valley for walk on the longest black sand beach in Hawaii, next try a kayak ride up the Waipio river and stop off at a waterfall for a quick dip. All in your back yard. Nature prevails here. 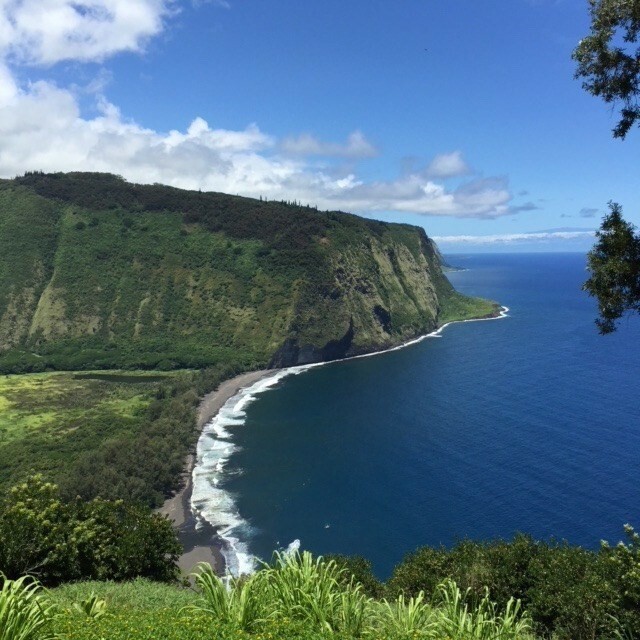 Because of its renowned amazing beauty and historical significance, Waipio Valley is the number 1 tourist destination on the Island of Hawaii, known as the Valley of the Kings, breathtakingly beautiful, Waipio Valley was home to Kamehameha the Great and other Hawaiian royalty. The valley provides a unique sensory experience of this spectacular valley, wild horses, surfing, kayaking, hiking, waterfalls, taro farms, horse and ATV riding trails, botanical specimens of rare flora and fauna. Across the valley you have waterfalls, rainbows and amazing sunsets, huge vistas of ocean and the sound of the surf. Located near the historic town of Kukuihaele. Owner holds Real Estate License in Washington. This could be your once in a lifetime opportunity as properties in the valley are very limited and rarely available. Property is currently landlocked, buyer will be responsible for acquiring easement. © 2019 Hawaii Information Service (MLS) All rights reserved. Information deemed to be reliable but not guaranteed. The data relating to real estate for sale on this website comes in part from the Broker Reciprocity Program. Real estate listings held by brokerage firms other than Hawaii Real Estate Team are marked with the BR logo and detailed information about them includes the name of the listing brokers. Listing broker has attempted to offer accurate data, but buyers are advised to confirm all items. Information last updated on 2019-04-24.